with some of the greatest horseback riding land in the world! Pasture, Alpine Trees, Alpine Lake, Forested Hillside. 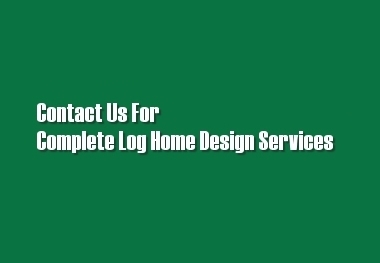 Are you looking for a spectacular log home in a really great place? A horseback riding paradise that's on a hill in the countryside with a terrific view, with National Forest back country at your doorstep, yet only minutes from the city center? Then take a closer look at Elk Ranch Estates, Overlooking picturesque downtown Coeur d’Alene, located among serene countryside, set against a vast scene of mountain and lake views; these equestrian ranches will be architecturally styled with a feeling of the national parks of the west. Live in a community where all homes are built to strict architectural standards that preserve and enhance the value of your property? Each meadow and treed 5-acre parcel offers an alluring natural location to sustain a charismatic, vibrant and practical environmental community. 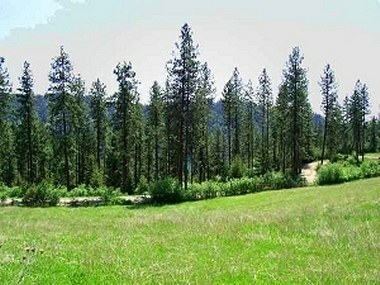 Named for the reclusive native wildlife oft seen here, the Elk Ranch Estates lie atop Fernan Hill, an especially sought-after countryside neighborhood; one of the few equestrian communities remaining within the Coeur d'Alene metro area. Peaceful countryside living, gorgeous views of the mountains and lakes, with abundant recreation. It is less than three miles to the vital city center that has become widely praised as "the best place to live in America"; Coeur d'Alene, Idaho. The Elk Ranch's ecological philosophy is articulated in its' legacy design guidelines. Building plans recognize the dominant nature of the landscape; blending natural wood, logs, heavy timber & stone to convey a sense of scale, strength, character, and heritage. This design philosophy reinforces the nature of the surrounding environment and traditional lifestyle, while encouraging individual style, creativity, and artisanship. Utilities include: under-ground power, natural gas, broadband cable, telephone and crystal-clear water. Southerly exposure to sun and prevailing breeze. North Idaho is a place of breathtaking natural beauty and limitless recreational opportunity. Welcome to The Elk Ranch on Fernan Hill; ranch estates in Coeur d'Alene; the heart of America's last great mountains, lakes, and wild rivers playground. Sometimes you forget what the real world is... It awaits you in the tall alpine forests and vast panorama of North Idaho. In nature's spectacular creation of big mountains, lakes and rivers; you may discover a world that has always beckoned you. Discover this magnificent marriage of lush forests, spectacular mountains, pristine lakes and rivers. Capture the true spirit of the Northern Rockies. Once you breath in the cool mountain air, you'll know you've found the ideal place to realize your dreams.